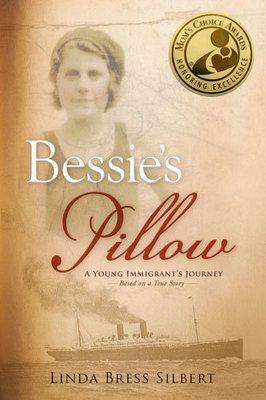 Bessie's Pillow is based on the true story of Boshka "Bessie" Markman Dreizen, who flees the terrors of turn-of-the-century Lithuania for America. While her brothers are in danger of being conscripted by the army, her parents send her to America, knowing that when the soldiers start coming, being a Jewish girl is dangerous in its own way. It is written by Linda Bress Sibert, Bessie's granddaughter, and published by Strong Learning, Inc. 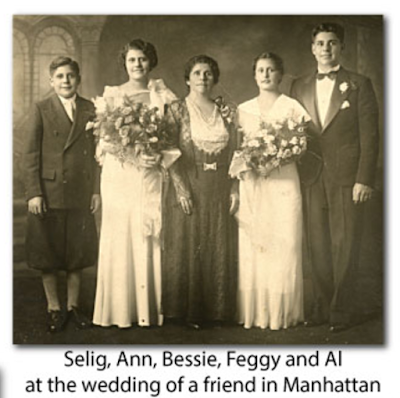 Interviews between Linda's mother, Ann Dreizen Bress, and Bessie are the basis for the book, with assistance with specific memories provided by other family members. It marginally fictionalizes Bessie's life -- while the events truly took place, the names of some of the secondary characters for privacy's sake. This story piqued my interest because of a personal connection with Bessie's general history, through my husband. His grandmother's family is from Lithuania, where Bessie's story begins. Both of Mom Mom Woody's parents, also from Jewish families, emigrated to the United States in the late 1800s. Ironically, both families were from the Lithuanian city of Šiauliai (Shavel), but met here in the United States. From what I've been able to learn, Jacob Dubins, her father, arrived in America around 1899, as an 18-year-old adult. Her mother, Freida Cartun, came as an infant with her family in 1884. I admit that I only have a passing acquaintance with the history of Lithuania, but from what I can understand, it was a trying time for Jews even then, and America held hope of a better future. I imagine that the Dubins and Cartuns faced similar fears about remaining, and hoped for better things if they traveled to a new country. They met and married in Philadelphia, and like Bessie and her husband, Nathan, worked to build a business. I smiled a little at Bessie's days as a sales clerk in a hat shop; the Dubins owned a haberdashery in Camden when Mom Mom Woody was a child. "There she is!" someone yells from behind us. Even as a native-born citizen, it is nearly impossible to remain stoic when viewing the Statue of Liberty from the New York harbor. 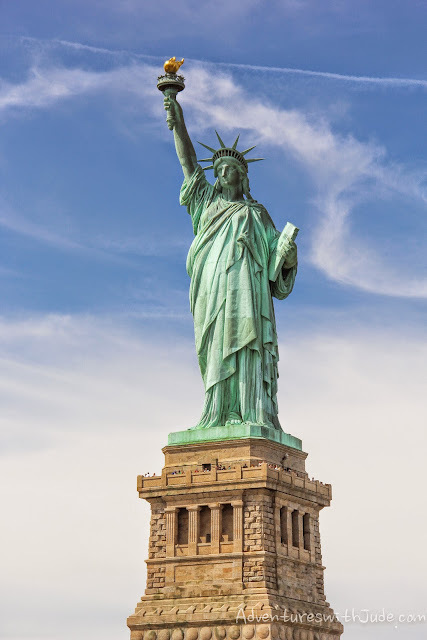 While there was still so much more to endure for these immigrants, with the fear of being sent back very real, clapping eyes on the Lady in the harbor meant that they had survived the overland crossings, the first round of inspections before the trans-Atlantic sailing, and the sea journey itself. Bessie's Pillow is a beautifully written story. It avoids the sugar-glazed reminiscences that many memoir-style books often drift to, and, like Bessie, avoids focusing on the struggles she encountered and faces them with a similar pragmatism. It reflects the balance that Bessie managed with the pull of so many dichotomies: the different cultures of Glebokoye and America, the differences between the Upper West and Lower East sides of Manhattan, and societal expectations of being a Jewish woman and suddenly finding herself a widow with young children. 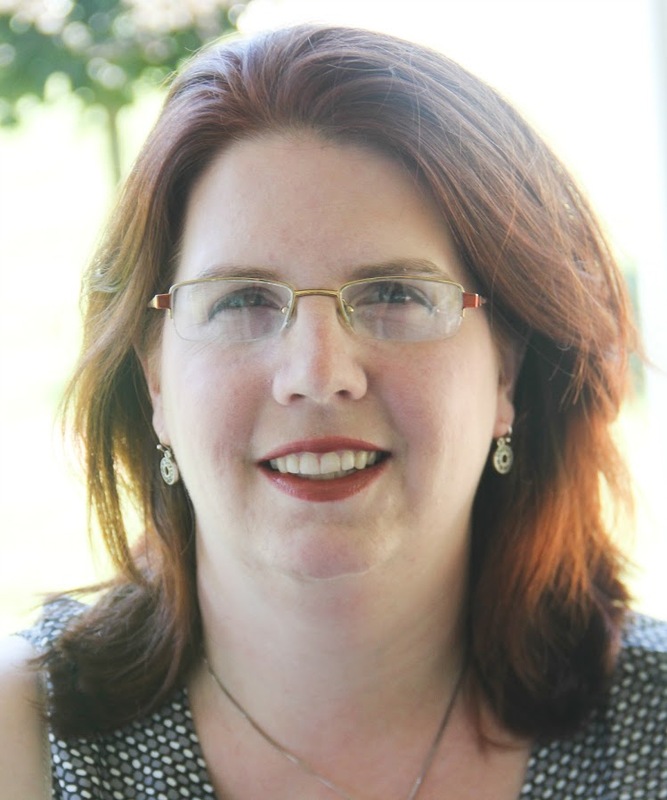 She is adamant about keeping Kosher, horrified at the extremes of both wealth and poverty, and pragmatic when she needs to provide for her family. She is as hardened or soft-hearted as she needs to be in the moment, and while she doesn't forget what she has experienced, she doesn't allow herself to wallow. The pillow that provides the title and the icebreaker between Bessie and her future husband is an example of this balance. At his mother's request, she is the courier for the pillow her future mother-in-law made from to Nathan. It is a tie to the old that she holds to dearly, yet she bravely navigates Grand Central Terminal to get it to its destination in New Rochelle. I can understand Bessie feeling overwhelmed when faced with the size and chaos of the building called "Grand Central." Having traveled through on many occasions, and being a native English speaker, I can only imagine Bessie's fear and fortitude at soldiering on to New Rochelle. This is only the main hall, and it is enormous. There's a veritable rabbit warren behind all of those doors! The pillow remains a tangible symbol of her journey and her relationships until after the death of her husband. She delays bringing it to him until she feels strong enough to be ready to leave the old behind and again delays putting it away until she feels strong enough to move on from mourning her beloved husband. I spent a lot of time reading a page and then putting the book down to Google. So many places and things were described in a way that made me want to say "Oh! What was that like?" You certainly could read the book from start to finish and not feel clueless -- the retelling of Bessie's memories are bright and vivid. However, I found myself searching for the places described in the books because these descriptions piqued increasing interest and questions. I googled maps to see the path of Bessie's journey and searched for places mentioned like Glen Island. Considered the precursor to Disney-style theme parks, it played a prominent role in the courtship and early part of Bessie and Nathan's marriage. I also found a trove of information in Strong Learning, Inc.'s Bessie's America. There are family photos (including the one above), and pictures and information about places and the current events that played a role in Bessie's life. 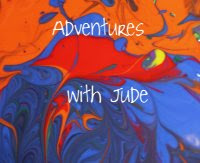 This book is written at least in part for the teen/young adult audience, but as an adult, I never felt talked down to. I think it is a worthwhile addition to a student library, especially of a student who is studying American history. When Luke studied history, he tried to look at it not just as dates and events, but as a story of the people who became the fabric of America. After reading it, he wishes had known about this book when he was studying post-Civil War immigration! It's definitely one I will be assigning to Matthew when we get that far -- and the Teacher's Guide provides an excellent frame for discussion of both this book and the era. Celia claims to have been waiting for us to finish the book, but based on the frequent and mysterious relocations of both book and bookmark, I have a feeling that she hasn't been particularly patient. I thoroughly enjoyed this book. It ends as Bessie literally closes the door on her life with Nathan and prepares to move forward with her life. The afterword, written by Silbert, ties up many of the loose ends -- about what the Dreizen children grew up to be, her relationship with Lou, and announcement of Bessie's triumphant achievement of American citizenship. The only question that remains in my mind -- does anybody know what happened to David? I wish I could know if he found what he was hoping for in Chicago. There are 89 other reviews of Bessie's Pillow. Click the banner below to read about them.